Groundhog Day has been celebrated in the United States and Canada on February 2 each year since 1886. According to folklore, if a groundhog sees its shadow on this day, six more weeks of winter will follow, while no shadow predicts an early spring. While many regions have their own locally popular groundhogs, Punxsutawney Phil from Punxsutawney, Pennsylvania is the most well-known nationally. Thousands of visitors and news reporters gather in the town near his home on Gobbler's Knob. Just before sunrise, local dignitaries in dress coats and tophats gather around Phil's door, and the country waits to see whether or not Phil will see his shadow. Before February 2, ask your family and friends if they think the groundhog will see his shadow or not. Make a graph charting the guesses. On February 2, check to see who was right. Start a weather chart. 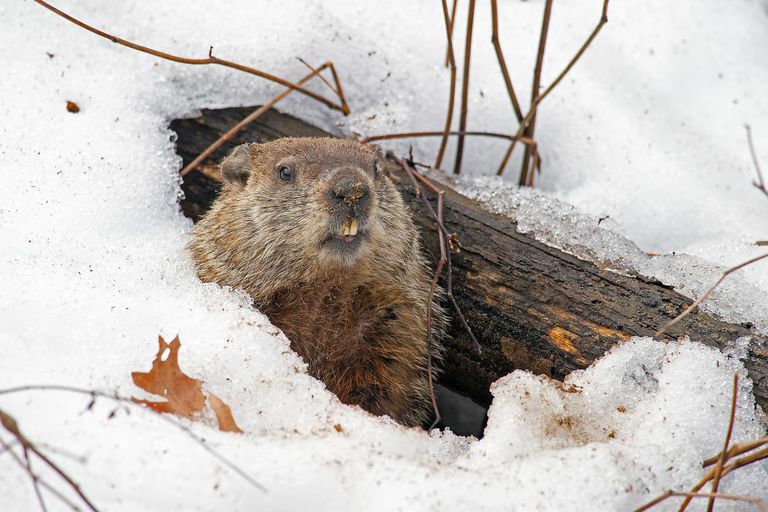 Track the weather for the next six weeks to see if the groundhog's prediction is accurate. Play shadow tag. You only need a dark room and flashlights. You can also make shadow puppets on the wall. Can your shadow puppets play tag? Find Punxsutawney, Pennsylvania on a map. Check that city's current weather on a site such as The Weather Channel. How does it compare with your current climate? Do you think Phil would have the same results if he lived in your town? Do you think his prediction of an early spring or six more weeks of winter will be accurate? 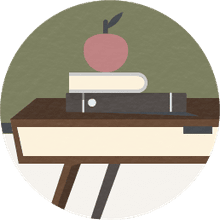 In this activity, students match each of the 10 words from the word bank with the appropriate definition. It’s a perfect way for elementary-age students to learn key terms associated with the holiday. In this activity, students will locate 10 words commonly associated with Groundhog Day. They can use the puzzle to review the words defined on their vocabulary sheet. Invite your students to learn more about Groundhog Day by matching the clue with the appropriate term in this fun crossword puzzle. Each of the key terms used have been provided in a word bank to make the activity accessible for younger students. This multiple choice challenge will test your student's knowledge of the facts and folklore surrounding Groundhog Day. Let your child practice his research skills by investigating at your local library or on the Internet to discover the answers to the questions about which he's unsure. Elementary-age students can practice their alphabetizing skills with this activity. They'll place the words associated with Groundhog Day in alphabetical order. This activity provides an opportunity for early learners to hone their fine motor skills. Use age-appropriate scissors to cut out the door hangers along the solid line. Cut the dotted line and cut out the circle to create festive door knobs hangers for Groundhog Day. For best results, print on card stock. Tap into your child's creativity with this activity that allows her to practice her handwriting, composition, and drawing skills. Your student will draw a Groundhog Day related picture then use the lines below to write about her drawing. Kids of all ages will enjoy coloring this Groundhog Day coloring page. Check out some books about Groundhog Day from your local library and read them aloud as your children color. This simple groundhog coloring page is perfect for young learners to practice their fine motor skills. Use it as a stand-alone activity or to keep your little ones quietly occupied during read-aloud time or as you work with older students. Young learners can practice critical thinking and fine motor skills with the Groundhog Day tic-tac-toe. Cut the pieces off at the dotted line, then cut them apart to use as markers for playing the game. For best results, print on card stock. Where Can I Find Free Veteran's Day Word Searches, and More?